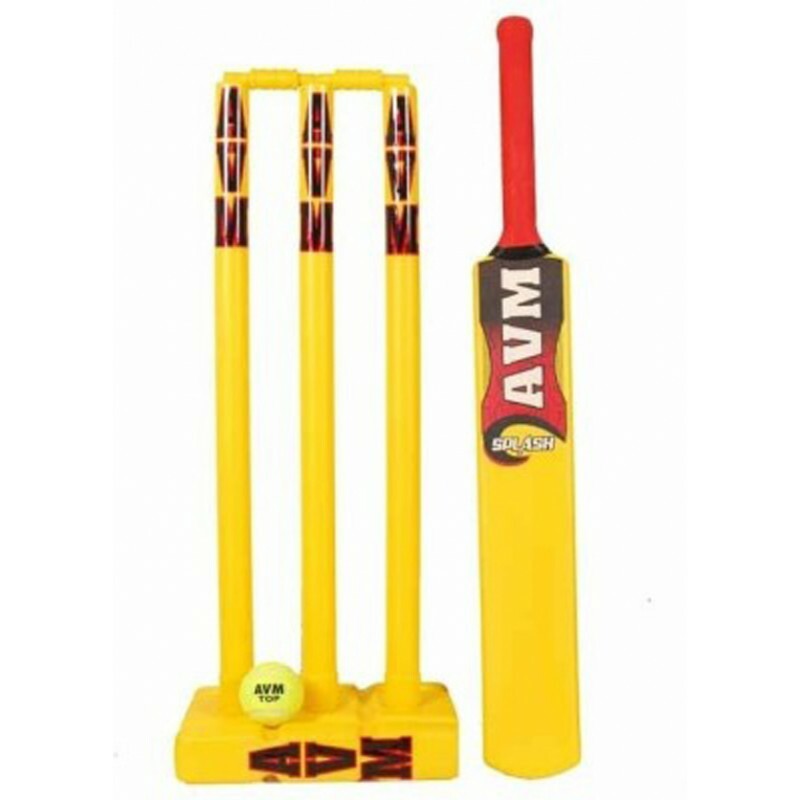 AVM Splash Plastic Cricket Kit Price Cricket is a passion in India and even young children embrace the game by playing it anywhere they can. Cricket is a team sport that helps children bond together and learn to play fairly. Play cricket with your children in order to spend some quality time with them and train them to excel at the game. The AVM Splash Plastic Cricket Kit is ideal for young children and is designed to teach them the game without all the cumbersome equipment. The AVM Splash Cricket Kit is made of plastic which is durable and lightweight, allowing kids to lift the bat easily. This AVM Splash Plastic Cricket Kit comes with 1 bat for the batsman and a ball for the bowler. The set also comes with 3 wickets that can be fixed into the stand to make them stand upright. Place the bails on top to complete the wicket before stepping up to bat.